Here I offer a short tutorial on changing yarn colors, using the Cali Chic Baby Teddy Bear pattern #58. 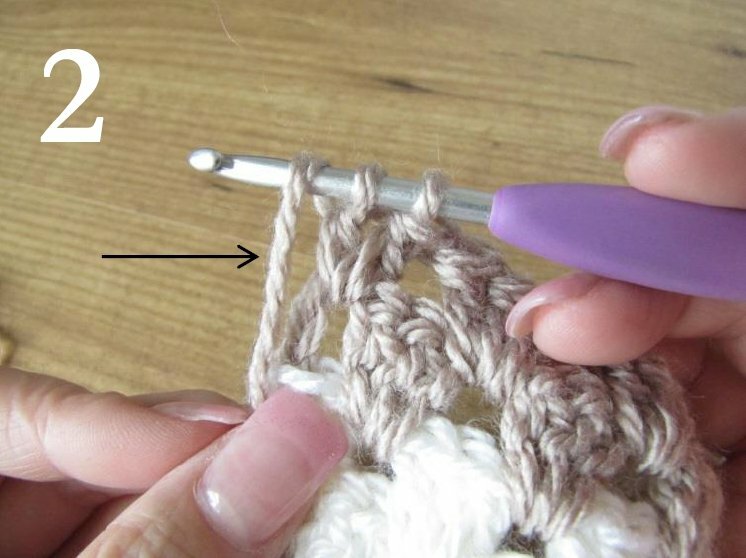 The example shown applies to any pattern using a double crochet stitch where a new yarn color is being introduced. When row finishes with 2 dc, on second dc you will complete “HALF” the stitch and stop, saving the last yarn over for introducing the NEW white yarn. 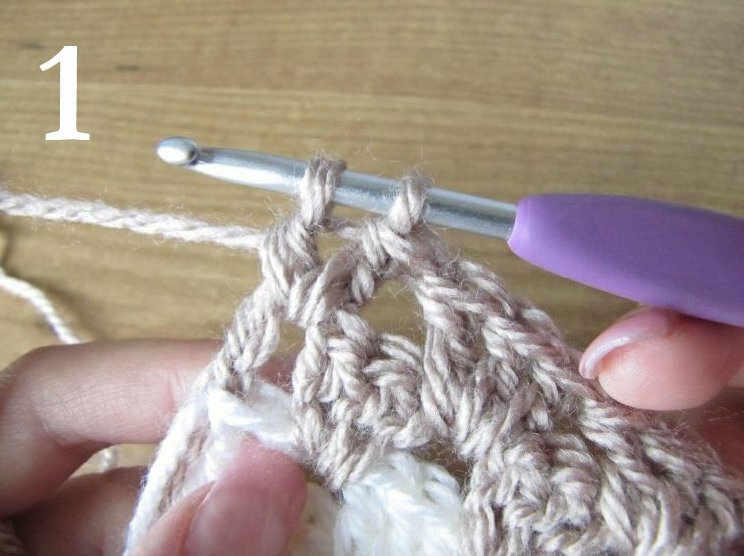 Don’t just drop your brown yarn! Take the brown yarn color and wrap over the crochet hook and hold. 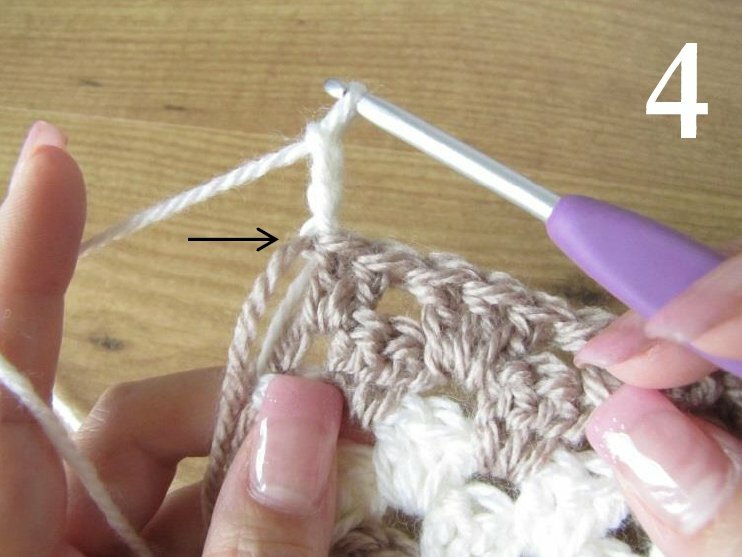 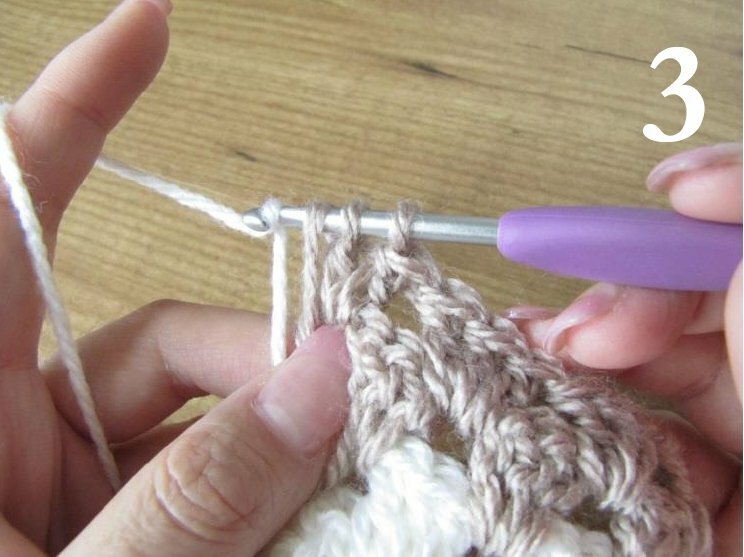 While holding brown yarn string as shown, bring in NEW white yarn color and pull through entire stitches on crochet hook, completing the row.